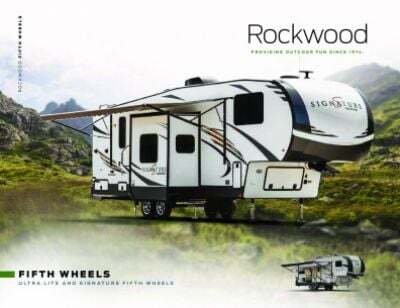 Make every trip the best trip ever with the 2020 Forest River Rockwood Signature Ultra Lite 8327SS Travel Trailer! When you're looking for the best deal on a new or used RV, look no further than All Seasons RV! We're one of Michigan's top dealerships, as well as one of the top RV dealerships in the nation! We've reached that success thanks to our fast easy financing, our super low prices, and our huge inventory of all the top RV brands and models! Tour our huge indoor showroom in comfort and leisure and let our knowledgeable, courteous, and professional staff answer all your questions and show how easy it is to own your dream RV! We're conveniently located at 4701 Airline Rd Muskegon Michigan 49444 so stop on in today! Don't live in Muskegon? That's no problem! Give us a call at 231-739-5269! With our fast, reliable, door-to-door delivery service, the RV you choose today can be in your driveway tomorrow! Take this RV anywhere, with its hitch weight of 1175 lbs. and GVWR of lbs. Along the side, there is a 21' 0" awning. Sleep like royalty on the campground with the snug and spacious Queen bed in the master bedroom! While you'll be sleeping well in comfort and privacy, your guests or family members will also be drifting off to sleep in ease! 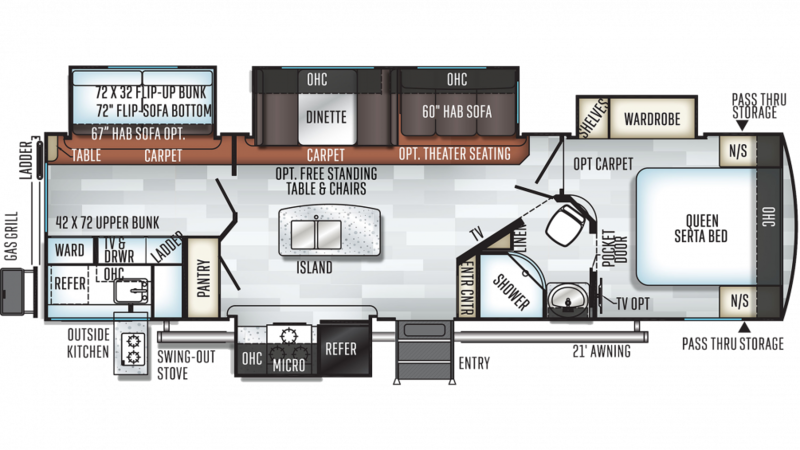 This RV has enough cozy sleeping accommodations for up to 8 people! Inside the bunkhouse, you'll find extra comfortable Bunkbeds, fit for kids and adults!